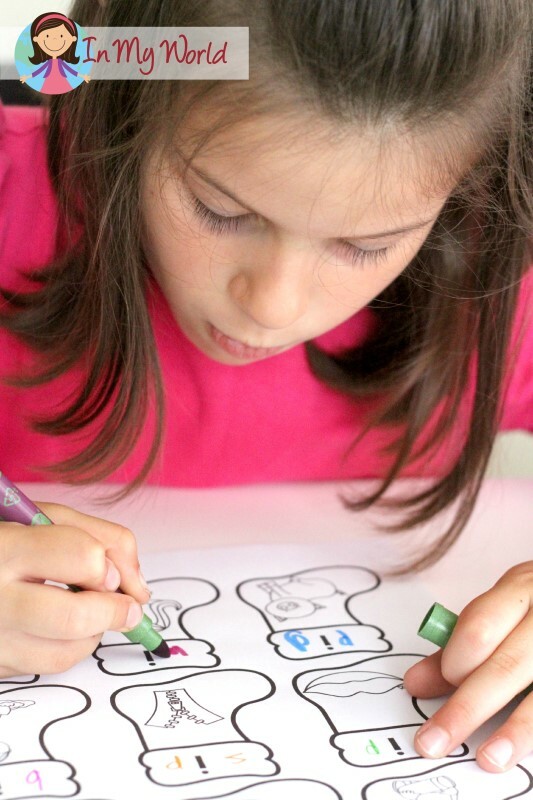 There is no better way to make learning fun during the festive season than with some festive actives…. right? 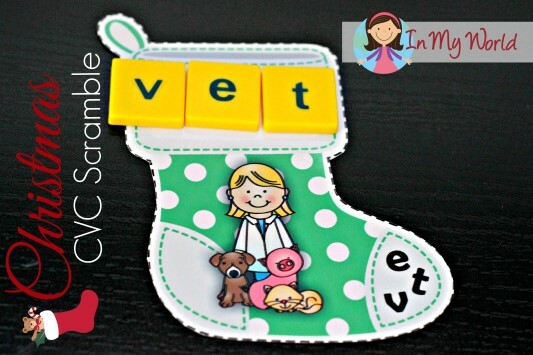 Yesterday, my daughter (Prep/Kindergarten) and I had heaps of fun with my Christmas Stocking CVC Word Scramble. 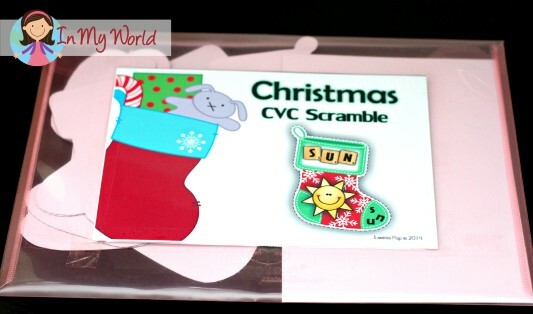 I printed the CVC Stockings from my Christmas Literacy Centers unit, laminated them and then cut them apart. 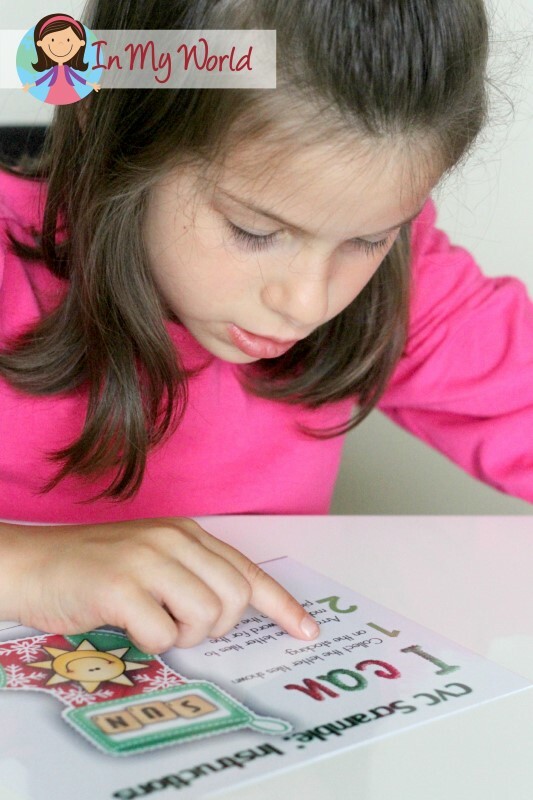 … and then Cami read the instructions so she would know what to do! 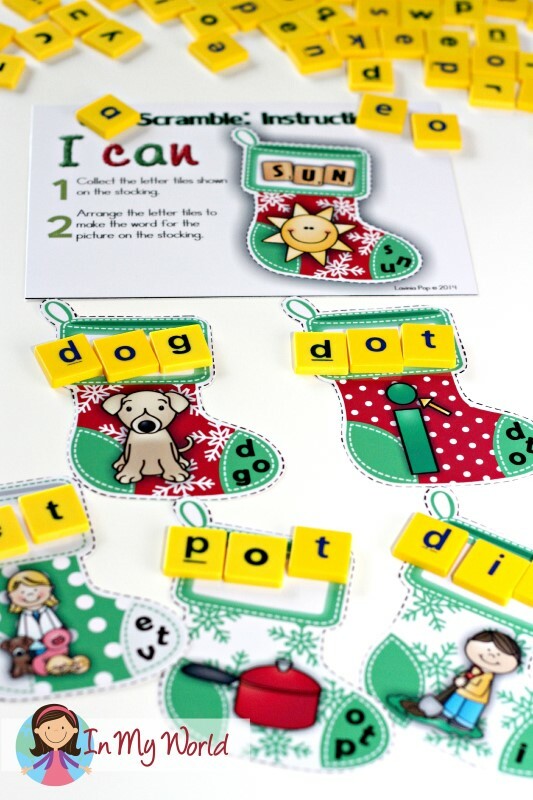 The aim of this activity is to collect the scrambled letters shown on each stocking and build a CVC word to match the picture. Very straight-forward, and lots of fun! Completed work! 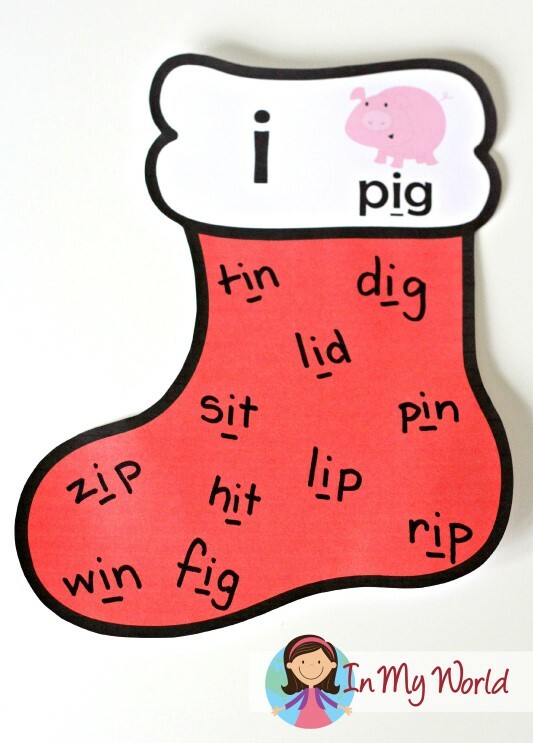 Yep, we had some letter reversal oopsies and we almost thought “tin” was “can”, but we worked it out in the end! 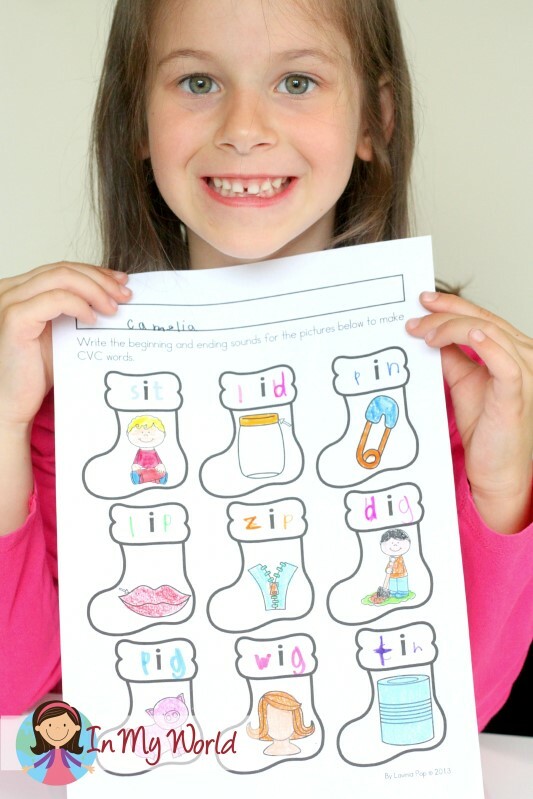 To finish our learning session, we made a short vowel “i” stocking and I wrote down all the short “i” CVC words she could remember from the activity or knew. 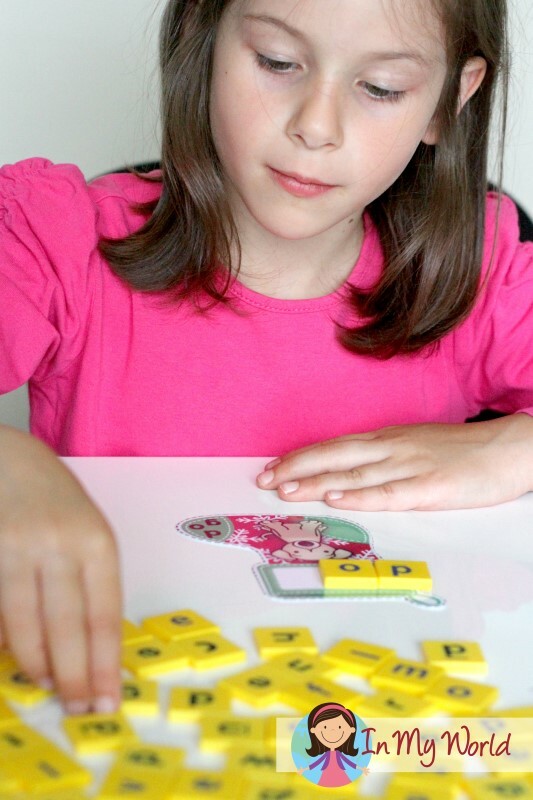 Click on the picture below to get your short vowel freebie! 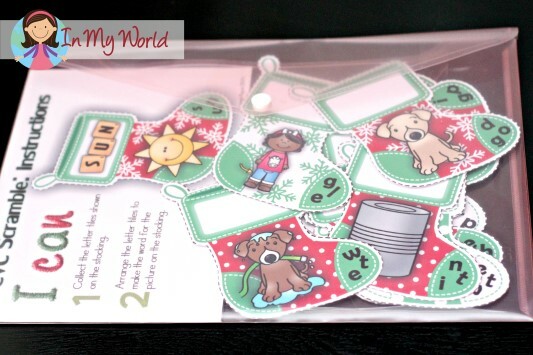 I thought I’d take some photos to show you how I store all the printable activities in our home. I put all the pieces from the activity, including instruction card, in a plastic envelope (if someone knows that correct term for the envelopes, please let me know what it is!!). 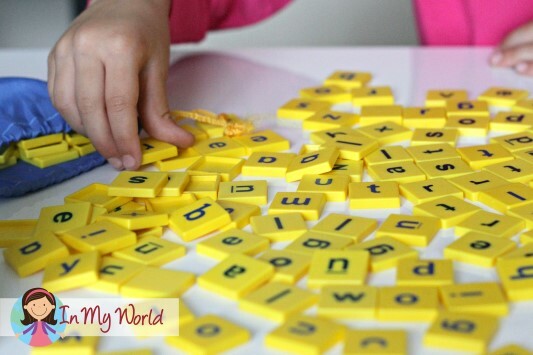 I tape the label to the back and then store them in a box with similar word work activities. We will be back soon with some more Christmas activities! Thank you for the wonderful learning activities for Kdg children! This is one awesome page that I found. Keep up the good work Lavinia! Love this as I do all of your work. I especially loved the follow up where you wrote all of the short Ii words she you all interacted with. Very nice indeed! !